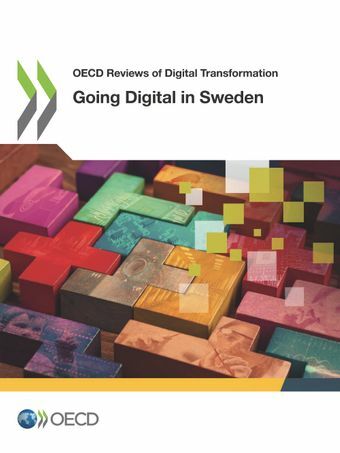 OECD Reviews of Digital Transformation: Going Digital in Sweden analyses recent developments of the digital economy in the country, reviews policies related to digitalisation and makes recommendations to increase policy coherence in this area. The report examines recent developments in infrastructures for the digital economy, telecom markets and related regulations and policies in Sweden. It reviews trends in the use of digital technologies by individuals, businesses and the government, and examines policies to foster diffusion. Digital security policies are discussed with a view to assess its strengths and limitations. The report also examines opportunities and challenges raised by digitalisation in key areas and analyses policy responses to these changes. The areas covered range from global value chains and innovation to jobs, skills and work in the digital economy.The report reconsiders these policies in relation to their coherence among different domains and in order to foster synergies across government ministries, levels and institutions, based on the policy framework of the OECD-wide "Going Digital: Making the Transformation Work for Growth and Well-being" project.